« Ask Aunt Fran: What did you know and when did you know it? 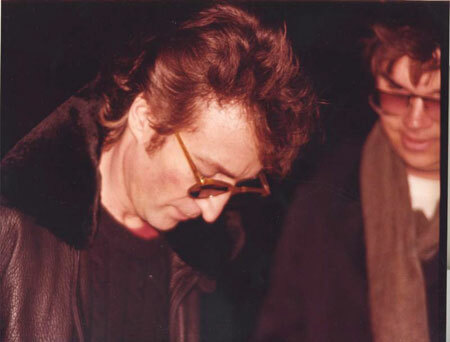 John and his killer, early evening, Dec. 8, 1980. As for me, I found out about it through my medium of choice, radio. Namely, through a phone call, an Associated Press teletype and my favorite DJ. And as I listened deep into the early December morning, I didn’t realize I was witnessing the death of something just as big. For as Mark Chapman intentionally pumped four of his five bullets into Lennon outside the Dakota 30 years ago tonight, he also unintentionally killed radio as we knew it and spawned a demon seed that has affected us all. The AM top-40 airwaves that unified millions of young ears less than a generation before and influenced music — and it can’t be understated how heavily the earliest punk was influenced by ’60s New York top-40 radio — turned to something more insidious and divisive. Talk radio. Limbaugh. Beck. Hannity. Imitators around the country, spattering half-truths and invectives and dividing the country for the sake of profit. It probably would have happened some other way at some other time. But you can draw a straight line from this poison-spewing industry back to the trajectory of any of the bullets Chapman fired into Lennon’s aorta. I had had a big blowout with a close friend a few days before and was still in a pretty dark and turbulent mood, and so I wandered the campus. I walked over to Hillwood Commons, the student center, for a while — probably playing pinball, as I did way too often — and then ended up at the school radio station, WCWP, 88.1 FM, behind the Commons. I was a communications major, with a broadcasting emphasis, and was pretty close to being cleared for an on-air shift at the station, but not quite there yet. Anyway, I walked into the station around 10 o’clock as Andy Cavuoto was doing the nightly “Shades of Jazz” show. I forget the rest, but you get the gist. Well, we got our answer four weeks later. I awoke one sunny Sunday to WNEW-FM and heard that not only was John turning 40 that week, but he and Yoko were releasing an album. And the one song I remember hearing most the rest of the fall, alongside Springsteen’s “Hungry Heart,” was “(Just Like) Starting Over.” Great way to start a Sunday, much less any day of the week. Or any week, for that matter. And now this? It just didn’t make sense on so many levels. Why the hell would someone shoot him? And why now, of all times? It didn’t really register. But the machine remained silent for the next 20 minutes, except to repeat the report of the shooting. As long as there weren’t any more bells, I thought, and the longer the machine kept quiet, John would be okay. Just about 11, the machine rang back to life — five bells. JFK’s assassination reportedly warranted 10 bells. But five was plenty big. And I stood transfixed as the inkjet scanned back and forth across the roll of paper and did its duty. NEW YORK CITY POLICE SAY JOHN LENNON IS DEAD. There have only been two other instances in my life when I felt all the air leave me as if I were punched in the gut. The first was 16 months before, when this Yankee fan heard the radio bulletin about the death of Thurman Munson at the deli where I worked, up the street from my house. The other time was a few years later when someone I know attempted suicide (unsuccessfully). I recovered enough to shout “ANDY!” and bring the bulletin into the air studio, where he delivered the news to a tiny audience of jazz buffs. 102.7, NEW-FM — Where Rock Lives. WNEW was one of the last bastions of creativity in commercial FM rock radio. It was where I reaffirmed that I wanted to be an FM jock one day and dazzle the world with my musical tastes. Like WABC, its jocks were legendary. Long before I was a listener, there was the Nightbird, Alison Steele. In my time, there was Dave Herman in morning drive (with his daily dose of Bruce Juice). Pete Fornatale midday. Lots of other great personalities, and I mean personalities in the true sense of the word: Meg Griffin. Danno Neer, surfing up Third Avenue after his shifts to the strains of “Hawaii Five-O.” Dennis Elsas. The legendary Scottso, the irrepressible, gravel-voiced Scott Muni. 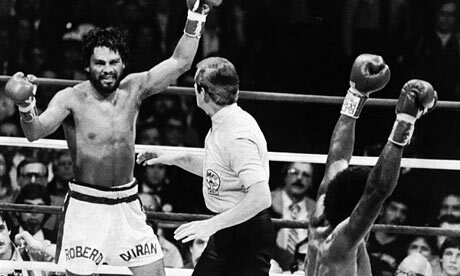 And the 10 p.m.-to-2 a.m. jock, Bayonne Butch himself, Vin Scelsa, followed by Tom “The Brick” Morrera in the overnights. Vinny — the same Vinny who was name-checked by The Ramones in “It’s Not My Place (In the 9-to-5 World)” — was my role model as a deejay, and nearly 20 years after I did my first show on WPKN in Bridgeport (89.5 FM, wpkn.org), I still have what I’ve perceived (having never met him) to be the Spirit of Scelsa as my M.O. : Play great music. Put some thought into it. Freewheel as much as possible. Find the most interesting tunes you can. And talk to the listener, even if to excess, as long as you keep it interesting and maybe teach them a thing or two they might not have known. Given all that, where else would I have logically turned once I got the news about John? And in the interim, I called back to the dorm, to my friend Jim Pedersen, who lived down the hall from me. Yeah, we know already, he told me. They found out while watching the game. Then Vinny took the mic, obviously somber and muted, even for someone whose voice never usually wavered from a mellow moderation. This had been the night of the station’s annual Christmas concert, and a huge bash was to follow The Marshall Tucker Band’s show at the Beacon Theatre. Instead, some shelter got a whole catering job full of food from a party that never took place. And Mr. Scelsa got the sad duty of telling fans who hadn’t heard the news from Howard already. And he went on, giving the details as he and the other folks at the station gathered them. He then did play “Let It Be” and “Imagine” and “Starting Over,” if my memory serves me right. I’m a little fuzzy about the details, given the lapse of 30 years and the emotions of that moment, but a short while later, Vinny came back on the air. And then he opened the phone lines for fans to call in and express their condolences. And save for one inane caller early on who angered Vinny by reasoning that pot should be legalized in honor of Lennon, the tributes kept flowing in. And the same thing was also happening at the City’s legendary oldies station, WCBS-FM, the station where many of the legendary WABC personalities would eventually resurface. On and on went the tributes. And somewhere around 3 a.m., I said “No mas” and left the station and went back to the dorm to sleep. After all, life continued as usual/unusual in the morning, including class and work. And when I woke up, the station was still taking calls from listeners. And that afternoon, as we listened to the radio in the public relations office, where I was a work-study student, there were reports that so many people were trying to call that they were frying New York Telephone’s circuits. And it went on for another couple of days before someone said “Enough” and decided to go back to the music. And three days after that, I was on a train from Grand Central back to Connecticut, where I hopped into my parents’ ’73 Impala and drove Mike Telesca, a friend from the Record Express store in Waterbury where I often hung out, up to Hartford — and through a snowstorm — to see my very first Springsteen concert. The feeling was weird — “Should we really be having fun?” — kinda like the feeling late-night talk show hosts encountered after 9/11. And on top of it, about a third of the Civic Center wussed out because of the snow. It wasn’t until nearly a third of the way through the 2 1/2-hour set, when Bruce yelled “This one’s for Johnny!” and the band broke into “Twist and Shout,” that things seemed normal again. And when we drove back, all the snow we encountered on I-84 on the way up was gone. And somewhere in midtown Manhattan that week, somebody in a suit had a light-bulb moment. And not too long afterward, radio would never be normal again. Talk radio was hardly a new concept. Talkers had occasionally dotted airwaves since the dawn of commercial radio, legendary names all over the political and cultural spectrum, such as Barry Gray, Joe Pyne and Jean Shepherd. But talk radio was the exception rather than the norm, especially as AM radio erupted in an explosion of teenage rebellion, thanks to Alan Freed and legions like him in the mid-to-late ’50s. Think of WFAN, New York’s seminal sports-talk station, and sports radio in general — where what was a phenomenon in the days after Lennon’s death has long been commonplace for millions daily, flooding phone consoles waiting anxiously for the chance to have a producer pick them to get in a word edgewise with Mike Francesa or some other sports sage. The FAN took over the 660 frequency from WNBC — the former flagship of the National Broadcasting Company and the last top-40 AM station in New York — in 1988 and became a monster in terms of profit and influence. And 17 months after John Lennon was gunned down, a group of us stood around a radio in the WCWP tape control room in the minutes leading to noon, as Lundy and Ingram said their farewells — the final song was “Imagine” — the legendary “WABC! (chime! )” ID blared one last time, and the mighty 770 went to a talk format. And that, eventually, led to WABC being uberinfluential all over again, in ways that resound all too loudly through our country. The flagship of Rush Limbaugh and Sean Hannity, combined with the eventual death of the FCC’s Fairness Doctrine, unleashed a torrent of ignorance and hatred, and it influenced subsequent elections. It wasn’t the first or last talk station, but 770 AM became the ground zero for the explosion of right-wing talk radio that has so hijacked our political discourse. Failed onetime rock jocks (see Beck, Glenn) would resurface as self-appointed leaders of the free world, or at least the leaders of their version of a twisted, grotesquely warped, political street theater. Again, the AM shift from top-40 to talk would have happened eventually, of natural causes, but Mark Chapman’s bullets did the job a lot quicker. In my version of Chapman hell, he’ll be surrounded by Limbaugh, Hannity, Beck and Dr. Laura spewing incessantly for all eternity, with no way of shutting them off or turning them down. This entry was posted on December 8, 2010 at 9:10 am and is filed under Pop music, Tribute. You can follow any responses to this entry through the RSS 2.0 feed. You can leave a response, or trackback from your own site. I haven’t listened to the radio, for the most part, in about 20 years. It’s unlistenable. wow, great stuff, Fran!!! thanks. How in the ever-lovin’ name of Aunt Petunia do you summon up detail like that 30 years later? Geeeez. All I remember is that I was working the copy desk of the UO student newspaper that night, and when the word came over on our old green-lettered monitors, someone scrambled over to the campus radio studio to get a copy of Double Fantasy so we could shoot a pic of it. That’s it. I said it all in one graf. Whew. Thanks, Fran, for a beautiful duel eulogy. Just seeing him in the same picture as JWL is a felony.